Golf outings, or tournaments, can be highly effective fundraisers that foster relationships and support for an organization. 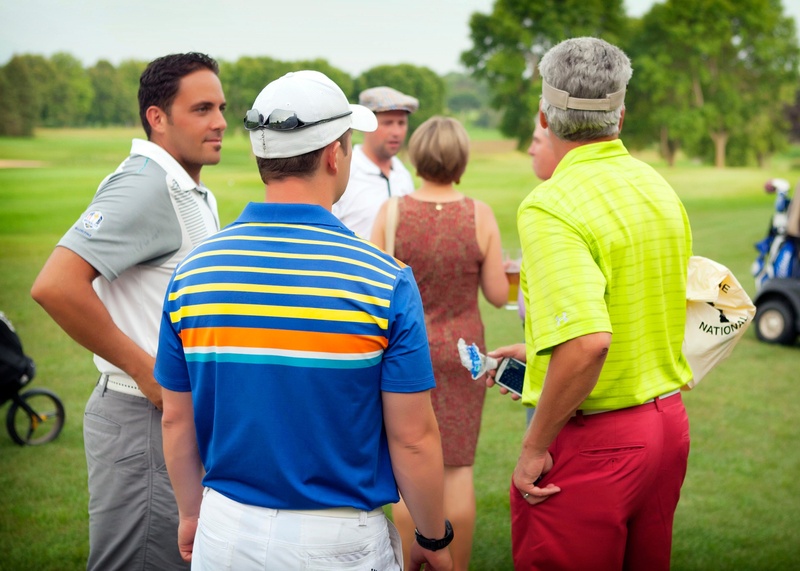 Likewise, a corporate golf outing helps develop professional relationships and recognize key business partners. But planning a successful private golf outing requires some know-how. If you've never planned a tournament, it can be a daunting task. 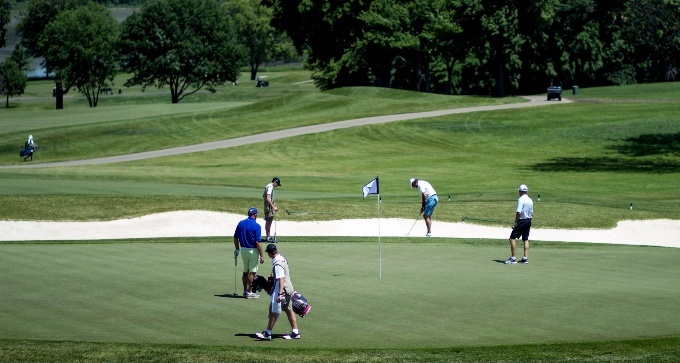 Hazeltine offers a complete guide for organizing a successful golf outing. Whether you're planning your first event, or you're an old pro, you'll find helpful information here. If you'd like, we've also made this guide available as a PDF for download. Click below to grab your copy! Start with why? Why are you having this event? Is the purpose of your event to raise money? Raise awareness? Perhaps it's to demonstrate client appreciation or simply to develop business relationships. Whatever the purpose, be clear on your primary objective for the event and make sure your effort is focused on that purpose. Next, if your event is to raise money for a charitable organization, set specific goals for how much money you would like to raise, or the level of participation you hope to achieve. Who is your primary audience? You may have multiple audiences and overlapping audiences with similar or conflicting interests. For example, sponsorship packages often include some player foursomes, so your sponsors may also be your event participants. 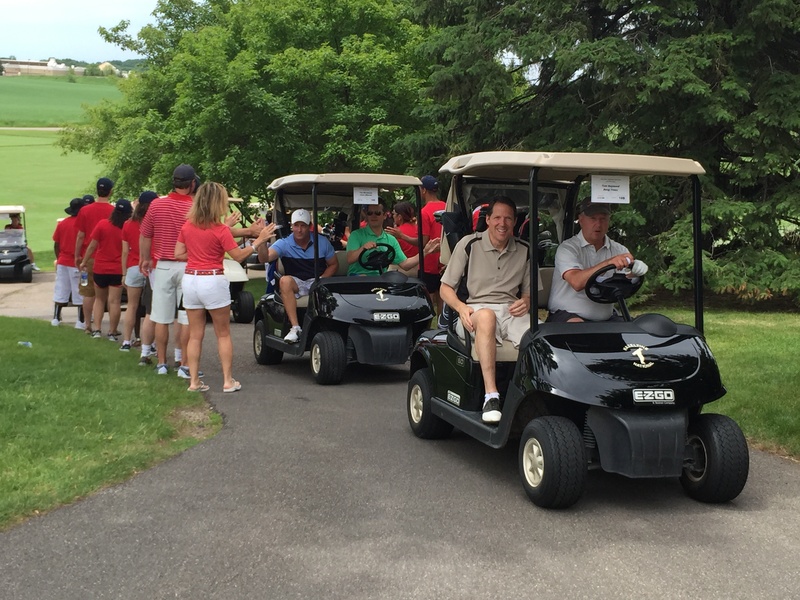 A truly successful golf event creates valuable experiences for all of its varied audiences. 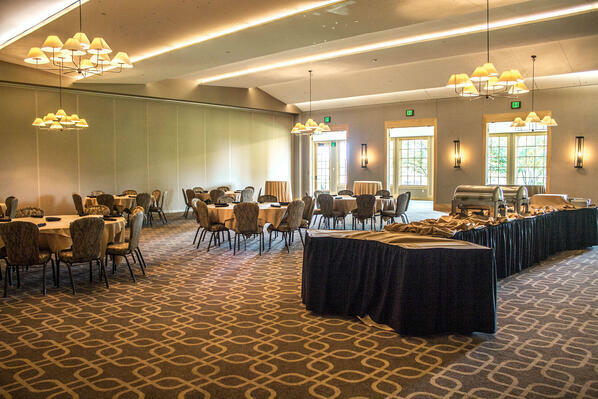 Planning a golf outing is like few other events. It's part golf tournament and part gala and requires a tremendous amount of organization and planning, so having strong partners is critical. Your organization may have existing resources to help with planning, promotion, and execution, and if you've managed this event in the past, you know what to expect. 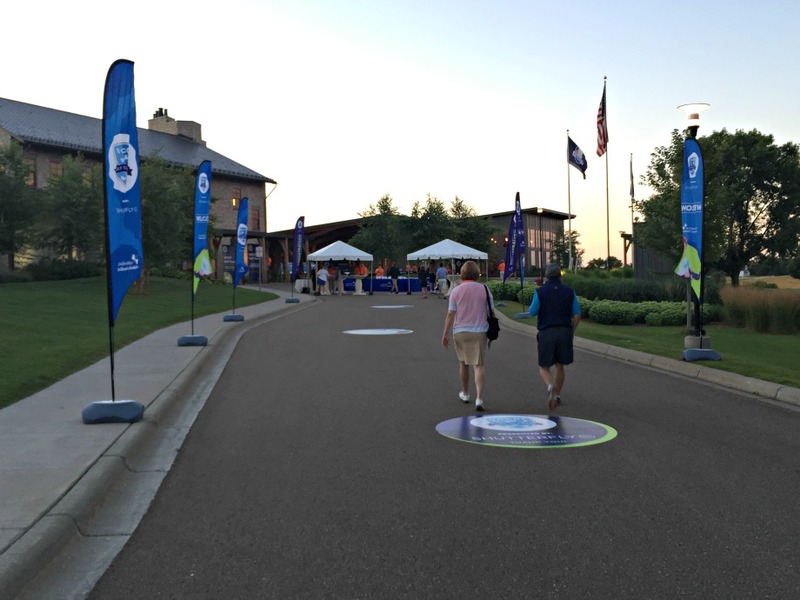 If this is your first golf event, you may have an in-house marketing team that can help develop and execute an event marketing plan which is helpful. Or, you may have established donors who would be natural place to start when you look for sponsors for the outing. Many companies rely on vendors to step up and support their charitable causes with either sponsorship, player participation or volunteers. Rather than a sole event planner, a committee is typically a good idea for a number of reasons: division of labor—there’s a lot to do up to and during the event; more people = a larger network for potential sponsors and participants; different people bring different expertise necessary to run a complex event. The best planning committee comprises thoughtful members chosen for their experience, availability, and commitment to the cause. Successful committees have clearly defined roles for individuals, follow meeting agendas, and have concrete deliverables and timelines. Extensive Networks: Choose committee members based on their personal networks and willingness to tap into that network. Personal networks are your prime source for sponsors and participants. Clear Objectives: What do you expect the committee to accomplish? As you recruit committee members, share clearly defined goals, deliverables, and expectations. Consistent Communication: Use email sparingly, and keep it short. Try a regularly scheduled email (monthly to start, then weekly) that communicates key information to the committee, like upcoming meeting schedules and agendas. Schedule meetings in advance and always have an agenda. Determine the type of meeting, document key decisions, action items and who is responsible. Make the notes of each meeting available to committee members. Different Roles: Don’t expect everyone will be able to do the same thing—one committee member may be a great sponsor recruiter, while another may have a network of people who can volunteer, while another might be an ace marketer. Assign your experts to the tasks for which they are best suited. Establishing a timeline ensures that important tasks are assigned and completed on schedule. Keep in mind that timelines can be compressed—and usually are—based on the event date. Our sample timeline illustrates all the activities to be completed, and you can assign a due date to meet your event’s schedule. Finalize setup for welcome/registration, meal seating, silent auction, etc. Reception room centerpieces, AV, etc. Collect all payments for contests, auction, etc. To develop a budget for your event, start by listing all the ways you plan to generate income. This could be sponsorships, participation fees, merchandise sales, auctions, etc. Be conservative in your estimates in order to keep your projections realistic. Next, list all expenses related to the planning, promotion, and execution of your event. The goal is to cover those expenses comfortably, leaving a substantial profit to contribute to charity. Fortunately, many expenses can actually become revenue streams if you offer them as sponsorship opportunities. For example, in our sample budget, dinner, tee gifts, beverage carts, and cocktails are all funded by different sponsors. Creating a partnership that is beneficial to both the sponsor organization and your organization is the foundation for successful sponsorships. Do you have existing relationships to leverage? Which organizations may have the same purpose as you? Don’t waste time on unsolicited letters and emails. Instead, leverage personal connections. Like any selling proposition, the key to securing event sponsors is to sell to those organizations that want what you’re selling. How do you find companies who are specifically interested in sponsoring events? In this excellent blog, “How to Find Companies that are Interested in Sponsoring Events,” Stephen Kim offers 10 tips to position you and your event in front of ideal sponsors. 1. Define the Fundamentals of Your Event. What is the overall vision? What overarching goals are you trying to achieve through the event? Being able to clearly communicate these values to potential sponsors is crucial to helping you secure the sponsorship. 3. Define the Sponsorship Criteria. Do the sponsor’s mission and brand values align with your event mission and objectives? A sponsorship is more than financial support, and aligned values create true partnerships. 4. Research Companies that have Sponsored Events Similar to Yours. Contact event organizers (if they aren’t direct competitors) for advice on how to shape the sponsorship packages, and learn what companies are looking for. 5. Use Online Resources that Connect Organizers with Sponsors. These online resources connect companies interested in sponsoring events. Each site helps you craft the ideal event sponsorship package and make connections with potential sponsors. 6. Find Companies with the Right Resources. While a company may wish to sponsor your event, it comes down to having the resources to do so. Look for sponsors with a sufficient budget, advertising/marketing department, and the ability to provide referrals. 7. Focus on Key Decision Makers. You can save everyone a lot of time by asking early in the process, “who has final decision making authority?” Often decision making is done at the executive level. Ask your connections to introduce you, or use tools like LinkedIn to find the target stakeholders and send a compelling message. 8. Have Valuable Event Data Readily Available. Who attends your event? Where are they from? What are their roles? 9. Tap Into Your Event Organizer Network. Reach out to other organizers you feel you could learn from. Connecting with peers, who aren’t direct competitors, is a great way to gain insights and share knowledge. 10. Organize an Exceptional Event. At the end of the day, your main goal is to organize a spectacular event. Remember that sponsorship should complement your goals, not replace them! Again, the best sales strategy is to sell what people want. By creating a top-tier event experience, you ensure the sponsorship is worth buying. Get creative with your sponsorship opportunities. Title, Platinum and Gold sponsor tiers are fairly standard, but look for other specific opportunities for more sponsorships: course snacks, individual holes, contests, meals, prizes or gifts, etc. Ask previous volunteers to participate again. Or ask volunteers from other events to volunteer at the golf tournament. Offer volunteers incentives to participate or appreciation gifts. These can include swag—like a special shirt or hat, VIP admission/access to the event before/after their volunteer shift, complimentary meals and beverages, and recognition. Define exactly what each volunteer will do—greet players, oversee a contest, set up the silent auction, etc. Volunteers feel successful when they know how to make a tangible contribution. This is an opportunity to share the goals of the organization and explain how they contribute to reaching the goals. Let them know what they’re responsible for, and where to go if they have a question or problem. Clearly explain expectations. If they will be responsible for financial transactions or checking in players, provide adequate technology training. Send a reminder prior to the event that lists their scheduled shift, specific duties, notes about arrival (is there a specific spot to park? Do they check in with someone? Where can they put their jackets/purses? Here are some ideas for how to distribute the work on event day and utilize volunteers you may have. You may not need all these volunteer positions, or a volunteer may take on multiple roles, but this is a representative sampling. Look for opportunities in your program or materials to specifically thank the volunteers. Be sure to send a post-event thank you note, and include how they can sign up to volunteer next year. They want to golf a specific course they wouldn’t otherwise have access to. They want to support a good cause. They want to support a friend or nurture a business relationship. Your marketing should appeal to each of these motivators. But first, be sure to setup an event registration website. There are a number of event registration websites available, offering a wide variety of features. Many offer special pricing for non-profits. Here are a few to get you started, but search for “event registration tool” for even more options. Event Smart: You can manage multiple events, pricing tiers, and sell unlimited registrations at no charge. Eventbrite: Allows you to quickly create a mobile-optimized event page, manage sales, and promote your event with built-in social sharing tools. Bizzabo: More fully featured software enables embeddable registration flow, robust data collection and analytics, and extensive social media integration. Define what information you need to collect from each participant. Be sure to consult the golf course to see what information they need, both for scoring and running the tournament, and to provide food and beverage before, during, and after golf. Once registration is complete, you will provide this information to the golf course, which uses it to place bags on the right cart, get players to the correct starting hole, score the tournament, order properly sized apparel, and provide meals to the players. After the registration site is setup, it's time to promote the tournament. Your committee, sponsors, and other key stakeholders should reach out to their personal and business networks to encourage participation in the event. To assist in their efforts, create an infographic, sample email or script they can use to recruit players. Reach out to previous sponsor, participants or other supporters of your organization. When your event is at an exclusive location, features a special guest or entertainer, or if it offers a chance to win big prizes, be sure to communicate that information. Players do register for the opportunity to play specific courses they may not otherwise get a chance to play. Many media outlets look for human interest stories. Does your event benefit a specific type of individual? Tell their story in your news release. Establish your social media accounts early, and be committed to using them. Facebook, LinkedIn, and Twitter are the most widely seen, but Instagram and Snapchat may be a way to reach your audience. Create your website early, even if it contains only “Save the Date” information. Your social media profile should contain a link to your event website. Use social media posts, including photos of previous events if available, to drive traffic to your site. Are there social media personalities that influence your target audience? For example, ask a local sports radio host who is active on Twitter to tweet/retweet information about your event. Also look for Facebook and LinkedIn users who will repost and share your messages. Consider incentives for players to register early; or incentives for players who recruit others. Remember that pace of play is paramount when planning a golf tournament. And, if playing a premier course or a highly competitive event, players will want to play their own ball. Here are some of the most popular tournament formats and how they work. Best Ball (aka Four Ball): Everybody plays their own ball on each hole. The lowest score among the four team members serves as the team score for that hole. Scramble: All players tee off and the best drive is chosen; all players then play their second shot from that spot. The best shot following every subsequent stroke is selected, with each team member playing from that spot. Shamble: All players tee off and the best drive is chosen; all players then play their second shot from that spot. Each player plays their own ball from there to the hole. This format is often preferred over a traditional scramble because it ensures a good drive, but allows each player to play their own ball after that; and typically is played faster than a traditional scramble. Forecaddies: One forecaddie accompanies each foursome and helps players choose clubs, navigate the course, rake bunkers, attend the flagstick, clean clubs and golf balls, read puts and spot golf balls. Not only does this help pace of play, but it elevates the player experience. Ball Spotters: The golf course staff can indicate where golfers typically need the most help spotting balls. Caddies can staff those specific locations for the duration of the event and help golfers find errant tee shots. Rangers: Course staff can patrol the golf course to encourage slow groups to speed up. Max Bogie: Limit the number of strokes a player can take on any given hole to Max Bogie, which is two strokes over par. So on a par four, once a player takes 6 strokes, they pick up and move on to the next hole. Contests are a fun addition to your event and can be used as additional sponsorship opportunities. You may also consider raising additional funds by charging participants to be eligible to participate in these various field events. Closest to the Pin: On a par 3, golfers mark their shot that is closest to the hole. Be sure to have a measuring tape on hand in the event of multiple close shots. Longest Drive: On a long, straight hole, golfers tee off and mark their drive that lands in the fairway, with the longest drive of the day winning. Often there are men’s and women’s contests to allow for more winners. 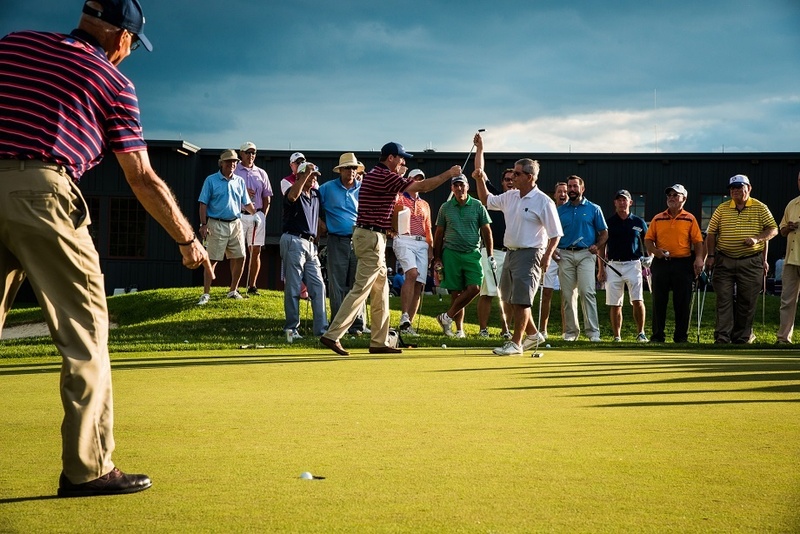 Putting Contest: You may consider charging players to qualify for the putting contest, which can be done before, during, or after the tournament. These typically include a qualifying round, with the closest 4-8 putts advancing to the finals. Mega Putt: Players purchase a numbered ball. On the practice green, all toss or putt balls simultaneously. The player to sink a ball or come closest wins—a difficult task with all the interference of other balls. Hole-in-One: This contest is held on a par 3. Popular prizes include vehicles and cash. Contact local businesses (not just car dealerships) for vehicle donations in exchange for exposure to your audience. If a prize is not donated, Hole-in-One insurance is available for a reasonable fee. You will award a prize for each of the on-course contests, as well as to the top 3 teams. Popular prizes include cash, gift cards to the golf shop, gift certificates, or trophies/plaques. The golf course’s golf shop can help you with customized prizes and gift cards. Tee gifts or swag bags are gifts given to every player, typically at registration/arrival, or placed on their golf cart. Some gifts may be donated by sponsors or other donors, or they can be purchased—often at a discount through the course’s golf shop. Popular tee gifts range from relatively inexpensive to luxury items. Here are a few examples, from inexpensive to premium. Shot of Courage: Offering participants the chance to purchase a specific beverage at a particular hole can have multiple benefits. It can increase funds raised. It can also offer the chance for a representative from your organization—volunteer, board member, or fund recipient—a chance to interact with golfers. Fund a Need/Meet the Recipient: For organizations trying to fund a specific need, like an equipment purchase, funds to construct a new building, or funds to underwrite a scholarship, consider having the equipment, construction blueprint, or scholarship recipient at a specific hole so players can learn more. Photos: Photos make inexpensive keepsakes for players, and they are useful for promoting future events. Station a photographer at a hole near the clubhouse for convenience. 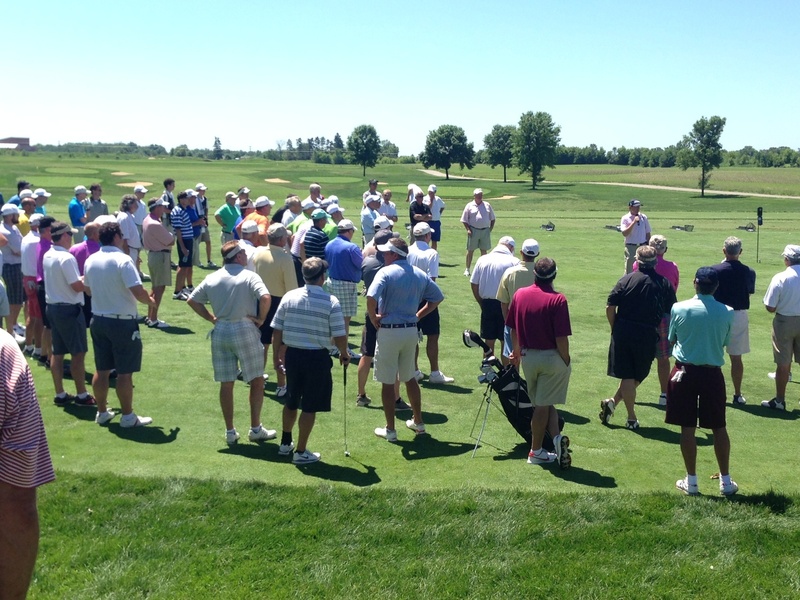 Short Game Clinics: Golf Pros can offer clinics before the event. Some courses charge an additional fee for this option. You can include the clinic for all players, or charge an upgrade to participate. Mulligans: Players purchase an additional shot to use when they don’t like the results of a given shot. There is usually a maximum number of mulligans each player can purchase. Raffles: Players purchase a chance to win, typically done via random drawing. Solicit donations from businesses and individuals, or invest in coveted prizes that will entice players to purchase raffle tickets. Small electronics are a hit with virtually every audience. Pro Drive/Beat the Pro: Assign a golf professional, or “celebrity” to a certain hole. Give players the opportunity to purchase the pro/celebrity’s drive to use instead of their own. Alternatively, players can purchase the chance to outdrive the pro, and win a prize for doing so. Silent Auction: Your committee can solicit donations from businesses and individuals. Or you can use an auction company to arrange for auction items on contingency—you pay a fee only if the item sells. Experience packages are popular. Concerts, trips, games, performances, etc. often spark bidding wars. Live Auction: Some groups, particularly those made up of corporate participants or enthusiastic supporters, are well suited for live auction success. The key to live auctions is to offer just a few, big ticket items. Live auctions also work well with specific fund-a-need requests. The first impression is important. Helpful signage and friendly greeters set the stage for a great event. Welcoming and directing players is an important job, and a good way to utilize volunteers. You may have the option to provide food before, during, and after your golf tournament. Some events use unique and high-quality foods to differentiate themselves from other golf tournaments. Be sure to allow for enough time between arrival and tee-off if you provide a pre-event meal. Because golf tournaments tend to take more time than a typical round of golf, make sure that food is available during play. Many courses have halfway huts or snack shacks on course, or offer certain snacks on beverage carts. You can offer your players free refreshments, or make them available on a cash basis. The evening meal is the chance to bring everyone together for any announcements or programs. Many events use this time for silent auction bidding to raise additional funds. Plated dinners are traditional, but stationed hors d’oeuvres are becoming increasingly popular and offer a departure from the usual fare. Golf and drinks go hand in hand, so make sure that the bar is open. You may consider utilizing beverage carts in addition to stationary bars. Depending on the nature of your event, you can host all beverages all day; offer beverages on a cash basis; or provide players with a certain number of drink tickets to redeem throughout the day. Whichever you choose, make sure you plan for plenty of non-alcoholic beverages, like bottled water and sports drinks—during a round of golf on a hot day, good hydration is essential for the comfort and well-being of players. Golf tournaments can make for long days. One way to encourage participants to stick around is to not display the scoreboard. Teams will stay through the social hour to find out who won the event. Another way to keep your attendees is to secure an engaging or famous speaker, or provide entertainment. Inviting spouses to attend the evening festivities can also keep people around, and lead to higher bidding on auction items. Have an emcee. This can be a volunteer, a paid emcee, or a board member or executive. The best programs are tight—every speaker has a purpose, every topic is planned, and rambling is avoided. The program is your chance to close out the event on a high note. It is the last impression of the day. This is a chance to name your sponsors, and recognize the committee, volunteers, and attendees, and anyone else who contributes to the success of your event. Reiterate the reason everyone is at the event. Highlight how the event helps meet the organization’s goals. Share financial results if available. Award prizes to contest winners, and event winners. Announce raffle and auction winners. The program offers a final call for donations—make the ask. People are in a good mood, have had a few drinks, and are ready to give. Remember to invite attendees to come back next year; announce the date if possible. A successful golf event deserves recognition of all those who made it possible. You'll want to write personal thank you notes to a number of people, including sponsors, participants, committee members, volunteers, and even vendors. A good thank you note includes the impact that individual had on the event and a summary of the success of the event. It's also the perfect opportunity to ask for participation in next year's event. The first thing you'll want to do is determine the success of the event. Reconcile any outstanding budget items and summarize the results. Once financials are available, bring your planning committee together to review the results. Talk about what worked well and what you'd like to change for next year. You may also send out a survey to solicit their feedback, but be sure this is done in addition to a face-to-face meeting. Getting together with your committee also offers you the opportunity to celebrate your success—be sure to enjoy your accomplishments together. Surveys can provide invaluable feedback from others, as well. Survey sponsors, participants, and volunteers to gain insights into how to improve your event. These insights can also help you to better position the event with future sponsors and participants. It's never too early to start planning for next year! Popular golf courses and other vendors can book a year in advance. Be sure to ask about reserving dates for next year early, so you don't miss out on your preferred course or entertainment. Use what you've learned in your post-mortem and surveys to improve and expand your event in coming years. Like any business, a successful golf tournament is an iterative process and the more you know, the better your event will be!